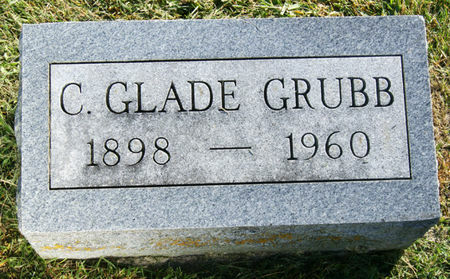 Calvin Glade Grubb, son of Jacob Karr Grubb and Eva Mae Seibert, was born Aug. 14, 1898 in Taylor Co., Iowa and died Oct. 31, 1960 at Bedford, Taylor Co., Iowa. He married Mary Etta Munn Feb. 26, 1918 at Conway, Taylor Co., Iowa. Searching for CALVIN GLADE GRUBB in Taylor County Iowa?